Click here to list 2019 Steaks And Game newest coupon codes, hot deals and promo codes offer on the site. 10% off coupon and 50 reward points! 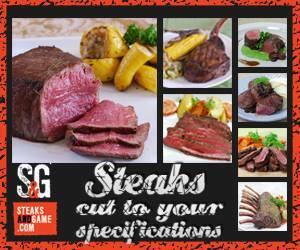 SteaksAndGame offers gourmet speciality meats such as: Wagyu Beef, Grass Fed Beef, Buffalo, Pork, Poultry, Venison, Elk and other exotic game meats.